Volunteers at the Queens Zoo work within the Education Department to help provide memorable educational experiences for our guests. We offer two different ways to volunteer. 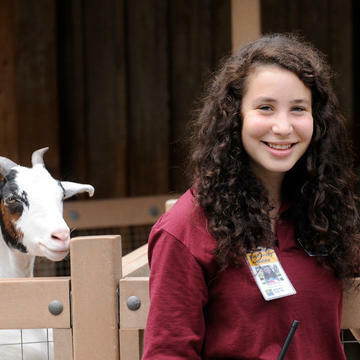 As a Discovery Guide (ages 14-24), you will run interactive games, crafts, and activities for visitors at various zoo exhibits. 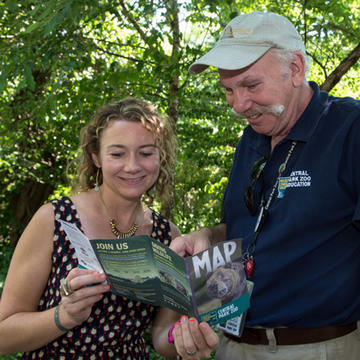 For Adult Volunteer (20+), there are a variety of specialties to choose from—such as leading inquiry based expeditions for school and camp groups, facilitating interactive hands-on activities for guests, or assisting with zoo education programs. Sound good? Check out our programs below.